Changes at the New York State Fair: When faced with change that I did not cause to happen, my happy place in my head is to repeat the phrase "adapt and overcome". It also helps that through the years I have personally witnessed many people overcome gigantic obstacles without one complaint. With that being said, yes people, the layout of the New York State Fair is different this year, and yes, it did take me forty-five minutes to find one of my favorite spots, but enough with the complaining! If having to search a few minutes extra to find your favorite sausage sandwich is the worst thing you are facing, count your blessings! At the Governor's Request: I was not the first person from school to get to the New York State Fair this year. That honor goes to the Marching Band. I received a call from the governor's office at close to 3:00 p.m. last Tuesday. 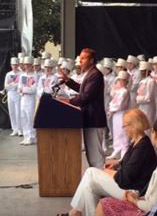 The governor had hand picked our Marching Band to help him open the State Fair...on Thursday. You read that correctly, the band staff and the students had LESS THAN TWO DAYS to prepare uniforms, songs, and movement patterns, at our expectation level, for the governor, Andrew Cuomo. I even told the staff that I completely understood if they had to decline due to lack of preparation time. Nope. Seven buses rolled to the state fairgrounds early Thursday morning, full of Marching Band members, to welcome the governor! As you would expect, they did an outstanding job, but beyond the music and performance, just think of how prepared these students are to deal with issues and stress when they get older. There are many lessons to be learned with every life experience. Preview of New Show: Since my last post, the Marching Band preview was held, and the bleachers were nearly filled with all of the people in attendance. Loud and proud would be how I would describe their performance, and I am looking forward to their first competition. Athletics are in Full Swing: I think it should also be noted how well our athletics programs get along with our fine arts program, which is contrary to the popular belief of some. I got excited the other day as I watched the football team practice. The team is looking really good right now and I thought about upcoming Friday nights, when the weather is perfect, the team is playing well, and the Marching Band performs at halftime. I can't wait! Finishing Touches at the Pool: The swimmers probably can't wait for the pool to be done so they can swim at home! We filled the pool last week, ran the filters, and began to apply chemicals. Right now, everything is thumbs up. Contractors worked all weekend to get us ready; we are very close. If you are a frequent user of the pool and locker area, you will not believe the difference. You are going to begin to see students and staff at our buildings this week. 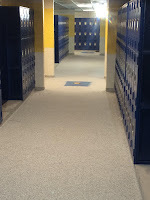 School is not starting until September 6, but locker nights, orientations, sports, Marching Band, and staff meetings will make our buildings look busy once again. Summer is Coming to an End: With the New York State Fair only days away (and I controlled myself and only bought eight pre-sale tickets) it is the time of the year when parents of older children are getting ready to take their children to college and parents of our youngest children are getting ready to put them on the school bus for the first time. Having experienced both, I can tell you that the emotions are similar. If you are in either category, just remember that one of the main themes of being a parent is to prepare them to experience life on their own. Another thing to remember is that our children handle these changes better than we do! 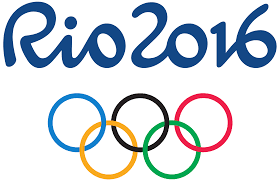 Learning from Olympic Athletes: For the past sixteen days many of us watched the Olympics. During each Olympic season there are many things to take away. For starters, the perseverance, drive, athleticism, sportsmanship (or lack thereof), and the human element of winning and losing are conversation starters for sure. I always watch how top athletes behave with their peers when they win and lose because it helps me to have conversations with our student athletes, as well as students who are in our performing groups and competitive clubs. This year we had the added bonus of watching a high-level athlete get into some trouble and then lie about it. We also watched three of his teammates, who were involved in the same behavior, tell the truth. I will give you five seconds to try and remember the names of the other three athletes. Most of you will not be able to do so, not because they are lesser named athletes, but because they told the truth they quickly spun out of the media cycle. Meanwhile, the fourth athlete took airtime from his fellow competitors in other sports, embarrassed himself and his family, and left a bad taste in the mouth for many in how he represented the United States. Apologies for his behavior and subsequent lies took the "boys will be boys" approach. The athlete in question is 32. If you are a regular reader of this blog you know that I value family time and especially any amount of time at the dinner table as a family. A great conversation starter is to discuss this situation and talk with your children about how they would have handled themselves and the benefits of telling the truth over a lie. While the athletes who told the truth still faced a consequence, it was FAR less than the individual who tried to lie his way out of it. Food for thought (no pun intended) for kids of any age. I am excited for new teacher orientation this week and for most of our capital project to finish. Enjoy the week, and maybe I will see you at the Fair! 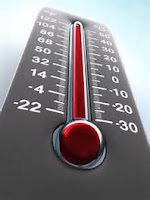 A Hot and Humid Summer: Let's face it, it has been REALLY hot and humid the past couple of weeks. I don't know about you, but I am very careful not to complain about it because in a few months I will be up at four in the morning trying to determine if we are going to have a snow day or not. The heat did cause our Marching Band to pack up early one day last week, and I cannot remember a time when that has happened. If you have children involved in athletics or Marching Band, you can keep track of the heat index just like we do by downloading the Weather Bug app or finding the website on your computer. Look for the "Feels Like" portion and compare what it reads to this handy chart. I am hoping we do not need to use it as high school fall sports began today but if we do, you can keep track yourself! We will soon be placing our own weather station for Weather Bug at the high school so we can read temperatures as accurately as possible. Capital Project Update: Over the past couple of weeks we have continued to manage our capital project and it is really coming together. This week is critical to the project completing on time. We will therefore be focusing a lot of our energies in buildings and with contractors to make sure that everything is completed. I am sure they will all love me. Truth be told, from our project manager through each contractor, trade, and worker, I have not worked with a better crew, ever. Sharing Services with our Neighbors: We have received a request from the Onondaga Central School District to help them with their food service program. Right now, food service programs in New York state are struggling, but we have been able to weather the storm and our food service program is actually quite successful. Sharing a service is helpful in the eyes of elected officials as they all call for schools to be as efficient as possible and to share services whenever they can. We currently share services with the Town of Camillus (facilities and salt), we service all of Solvay Central School District's buses (for five years now), and we will be adding the management of the Onondaga Central School District food service program. Many thanks to our Assistant Superintendent for Management Services, Paul Pelton, and his crew for the research and development on this initiative. For this year, and thanks to significant assessment growth in the Town of Camillus, many taxpayers will see a tax rate reduction compared to last year while others will see an increase that is significantly lower than what we anticipated. This is much better than we had estimated, so we will take it! What Goal Are We Chasing? Well, I can tell you that I am not as young as I used to be. I spent the weekend in Boston with my dad, brother, and a bunch of my brother's friends for a get together before my brother's wedding. No worries; I was back in my room and in bed by eleven each night. It was good to get out of town for a couple of days, and I even watched my dad take his first Uber ride! We continue to have a smooth summer. Construction is going well, BOCES summer school is going well, and all of our summer preparations, both academically and operationally, are coming together nicely. 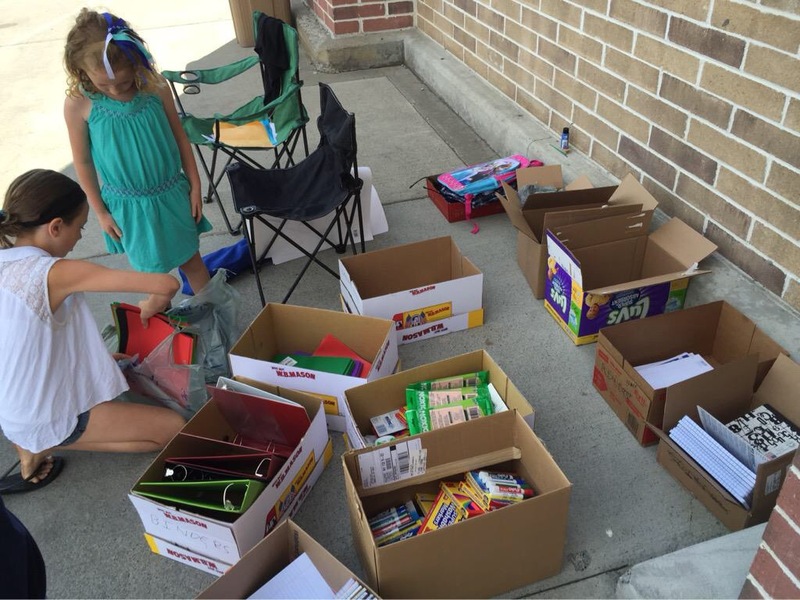 Supply Drive: The West Genesee PTA/PTO District Council is once again sponsoring a School Supply Drive. The purpose is to provide free school supplies for students in need of assistance who attend any school in the District. Last year the program helped well over 150 families, and we anticipate the need to be the same this fall. 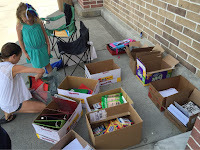 For more information about how you can donate supplies and/or register to receive the supplies for your child, click here. I am very appreciative of these efforts as the supplies are always much needed and definitely used. We haven't had any leftovers yet! Update on State Assessment Results: I did want to address the release of the New York State Grades 3-8 Assessment results (click here to view them). If you review them, you may notice that the results were not as high as we see for us on Regents Exams, or our high school completion rate. Please do not panic; it is all part of the greater plan. We are required to give the 3-8 New York State assessments, so we do. Each of the exams the past three years have been different, and the "cut scores", or basically the curve to see who passes, has changed. As a result of these inconsistencies, I told our principals and teachers to worry more about becoming familiar with the new material and how to teach it, rather than cutting that experience short for test preparation. We even took the importance of improving on the 3-8 New York State assessments out of our strategic plan, until the tests became more valid, which I would expect to happen in two years. Do the current New York State Grades 3-8 assessments have any value to us right now? Yes. The results do help us to compare understanding of the curriculum between our own elementary and middle schools. We can compare the results with other assessments we give locally in each building and begin to see if there are gaps in instruction; we can then fill those gaps between buildings. My overall goal as a superintendent is to make sure that each student sitting in a ninth-grade class has relatively the same K-8 education so they can launch into high school and begin to make post high school decisions. I am very comfortable that we are in line with this philosophy. We do place heavy emphasis on our high school completion rate, which is at an all time high for us, as well as all data points relative to New York State Regents results, which are also very good. You will see improvement in our New York State 3-8 results beginning next year. You will then see exponential growth in two years, when we know the material is being taught to its fullest and our teachers are most confident with it, and we are comfortable with the validity of the assessments. 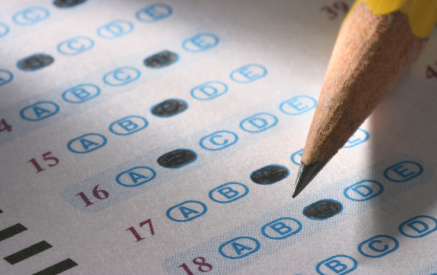 Should your child take the NYS 3-8 assessments? I believe they should, because they will become more valid. Past experience with other educational reform tells me that a move away from the common core learning standards will take many years, and soon, the state will place true emphasis on the results. Having a child get used to the environment and the experience will help them to be adjusted for when they "really count". Enough about that. We have a great weather week in the works, and I am looking forward to catching a few Marching Band practices! I hope that you are all enjoying the summer. I have only had to mow the lawn a few times due to lack of rain, but a back injury has kept me from being able to run; and that has been a bummer. Hopefully, with rest and some physical therapy I will be back on the streets in a month or so. Vacation Time: I just got back from our annual vacation to South Carolina. We had a great time even though the heat index was 114 degrees two days in a row! We traveled with our adult children and found something to do that mixed old school with modern day technology and it was a hit. Many of you may remember the "license plate game" where you would try to find as many license plates from as many different states as possible while traveling in your car. 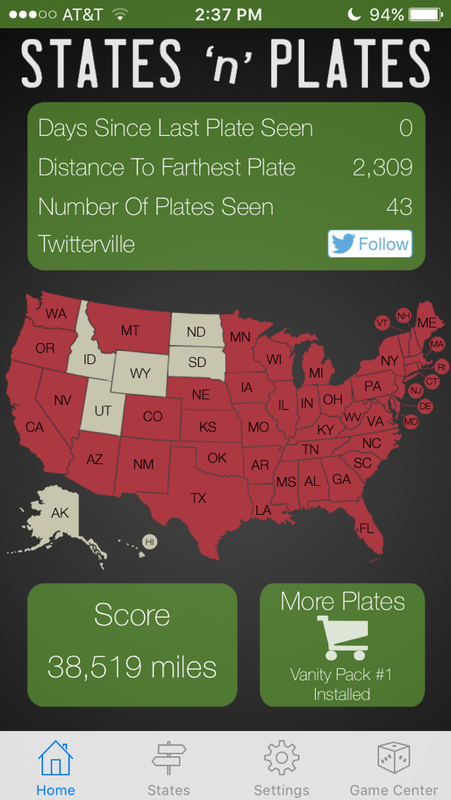 They now have an "app" for that called "States 'n' Plates" that helps to keep track of what you find. Between that and Pokemon Go, everyone seemed happy. Believe it or not, we found forty-three license plates! A hint is to pay careful attention to U-Haul trucks and eighteen wheelers. 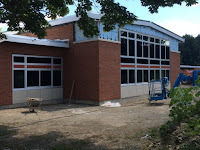 Construction Projects Progress: Back home, our construction workers continued to cruise along on the capital project and everything is on schedule to be completed before the school year starts. I think you are really going to be impressed with the outcome. The high school gym is beginning to look like a college gym. We have a great image of a wildcat being laid down at center court, and the student section of bleachers will have a giant "WG" inscribed that will appear when they are closed. When it is finished and we have a nice coat of wax on the floor it will be a very impressive place to play! The pool area is shaping up, and I am really proud of all the other work being done around the District as well. I am going to be visiting every site this week, so stay tuned to my Twitter feed (@cbrownwgcsd) for the most up to date pictures. This week is our annual Board of Education retreat, and I also plan to get back to publishing a blog post each week. You can also expect more tweets as we begin to get ready for another great school year. I hope you continue to enjoy the summer; I will see you around!